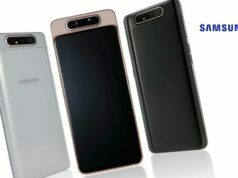 The highlight features of Honor Note 10 include large display with 18.5:9 aspect ratio, face unlock feature, 5000mAh battery as well as HiSilicon Kirin 970 chipset. The 4GB RAM + 64GB inbuilt storage variant costs CNY 2,799 (Approx. INR 28,100) while the 6GB RAM + 128GB inbuilt storage variant is priced CNY 3,199 (Approx. INR 32,100). The third variant with 8GB RAM + 128GB inbuilt storage is priced CNY 3,599 (INR 36,100). The Honor Note 10 will go on sale from 10.08am of Aug 3 in China through online stores like VMall, Jingdong, TMall and very popular Suning. The Chinese tech giant, Huawei, has launched a new smartphone called Honor Note 10 under the subsidiary smartphone brand, Honor. The smartphone got launched at an event in China and the company has touted many new features in the smartphone. 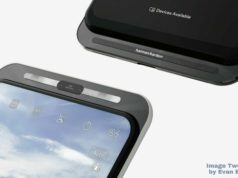 The current trending iPhone X like Notch was dumped by the company in the newly launched smartphone. 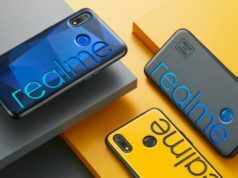 When it comes to the highlight features, it encompasses large display with 18.5:9 aspect ratio, face unlock feature, 5000mAh battery as well as HiSilicon Kirin 970 chipset. 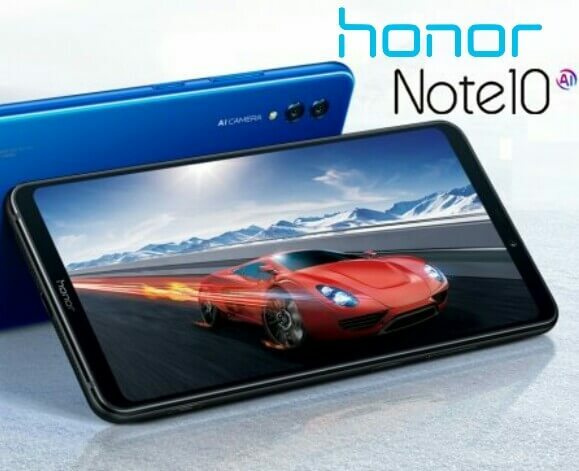 The Honor Note 10 dominates the front with a 6.95-inch Full-HD+ AMOLED display with screen resolution of 2220×1080 pixels and 18.5:9 aspect ratio. The display comes with approximately 81.5% screen-to-body ratio and the pixel density of 355ppi. 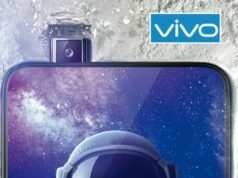 The China launched smartphone sports a dual lens camera module at the back with various integrated features in the camera setup along with an LED flash. 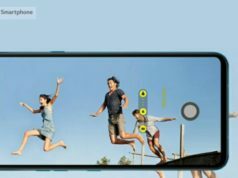 The dual camera setup comprises of 24-megapixel primary sensor and 16-megapixel secondary sensor with f/1.8 aperture and AIS (Artificial Image Stabilization). The camera setup support night mode photography, Panorama, eight scenes, indoor and outdoor blue sky view, etc. 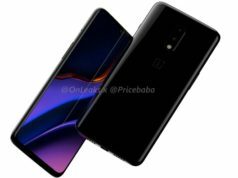 As for the selfie shooter, the smartphone sports a 13-megapixel single lens sensor with Artificial Intelligence support and Face unlock feature. The Honor Note 10 runs company owned EMUI 8.2 based on Android 8.1 Oreo OS. Under the hood, the smartphone is powered by an Octa-Core HiSilicon Kirin 970 SoC clocked at up to 2.4GHz, paired with 4GB/6GB/8GB RAM and Adreno Mali-G72 GPU Turbo. When it comes to the storage capacity, it offers 64GB as well as 128GB inbuilt storage, expandable to up to 256GB using a MicroSD card. The smartphone is fuelled by a 5,000mAh battery. On the connectivity front, the smartphone supports dual 4G LTE SIM slots, Dual Band WiFi 802.11 a/b/g/n/ac, Bluetooth v4.2, GPS/A-GPS, NFC, FM Radio, USB Type C but no 3.5mm Audio Jack. The sensors on-board include rear mounted Fingerprint Sensor, Accelerometer, Gyroscope, Digital Compass and Proximity. The smartphone weighs 230g and measures 177x85x7.7mm.